Just announced – U.S. Navy-trained dolphins and their handlers arrived in Mexico Thursday to participate in a last-ditch effort to catch, enclose and protect the last few dozen surviving Vaquita porpoises. Despite Mexico’s campaign to help the species, which are the world’s smallest and rarest type of porpoises, and live only in the Gulf of California, the number of remaining Vaquitas is estimated to have dropped below 30. 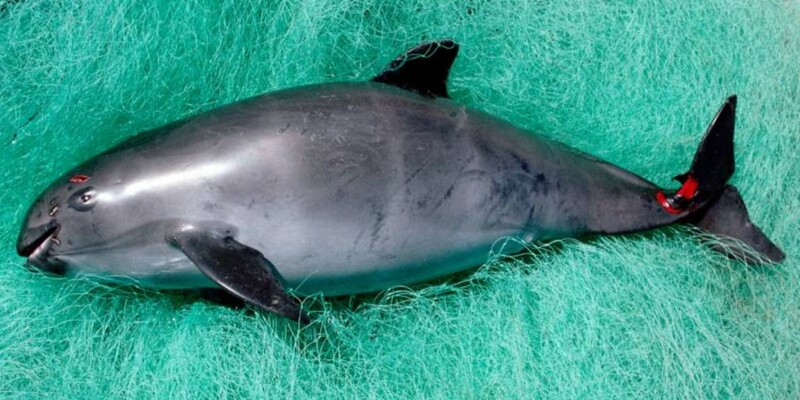 Vaquitas are often caught in nets illegally set to catch totoaba fish, whose bladder is prized in China. Mexico enacted a permanent ban on gillnet fishing in the northern Gulf of California earlier this year, but it came way too late. For decades, the Mexican government has ignored the rampant over-fishing and illegal fishing in the area, and this is what led the the current dire situation. While this capture program may be the last chance, I have mixed feelings about it. On the one hand, this is probably the only way to now save the species. But it has only become necessary through successive Mexican governments complete abdication of responsibility in the fishery. And in many ways this new program removes the problem for the Mexican authorities – With the Vaquita being placed in captivity, Authorities can go back to business as usual. The various other marine species being pushed to local extinction in Mexican waters will be less charismatic, and their disappearance will gather little in the way of attention. The program may also turn pear shaped for many reasons. Both Mexico and the US have significant businesses dedicated to captive dolphin tourism and entertainment. Remember how Morgan was taken from the wild in Netherlands to save her? Next thing a court order saw Morgan transferred to Tenerife as a tourist attraction. While US and Mexican authorities may intend for the Vaquita to not end up in tourist locations, I wouldn’t bet against it happening. I can imagine the Sea World CEO salivating at the thought of getting half a dozen Vaquita into one of his tanks in San Diego and then milking the poor animals for years to come. There is also a big question mark over the breeding of these animals in captivity. No one has done it before, and Scientists admit it may not be possible to make it happen in time to save the species. The removal of the last few may in fact be their death knell. There is also the irony of using captive trained Dolphin to round up the last of the Vaquita is not lost on me. This whole project has a bad smell about it. It may be the last chance to save a species, but it is sad that it has ever come to this.